Picture this: It’s the end of summer. You are at a lakeside country club; the sun is getting ready to set for the evening. The “I Dos” are said near a rustic dock, which is perfect for pictures after. Your favorite vintage car is sitting out front, ready for your grand exit later that evening. After the ceremony you walk into the banquet room at the country club and see pearly white and polka dot accents throughout the room, and a band is already playing in the background. I’ve got a retro-y throw back wedding in mind for this event. Retro, but modern. I was trying to capture a little bit of the fifties feeling with this week’s inspiration board. A modern pearl finish cake, a little bit of pearly decorations with some polka dots thrown in for accents. 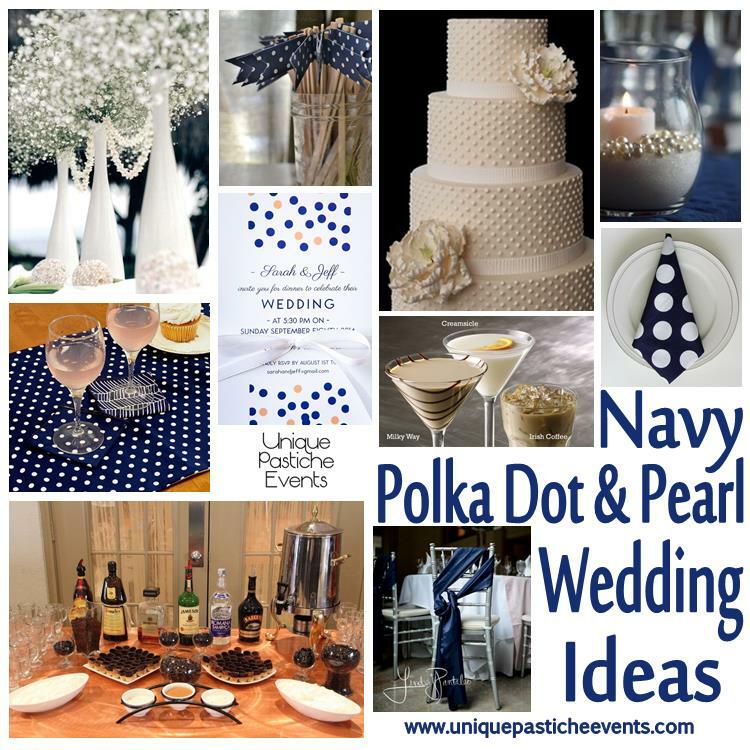 What do you think about using polka dots at weddings?